Initially this endoscope was developed for Rob Pascoe MRCVS, of Bell Equine in Kent by Gradient Lens Corporation in the USA. Rob was involved at every level of the prototype development to ensure it met his specific need of a lightweight but strong construction with precision optical components for equine dental imaging. 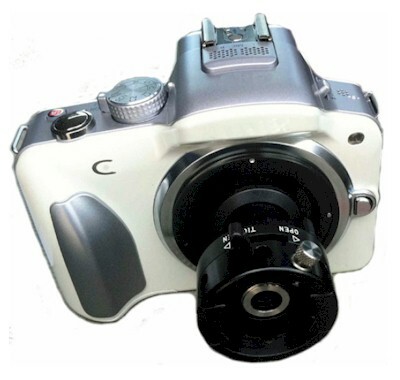 The digital camera accessory has been developed as a direct result of Rob�s successful experimentation in this area and provides a superior image to most digital camera options available. This 60 degree distal tip has been developed specifically to protect the imaging lens. It has a recessed window to avoid as much possible damage caused by contact with hard surfaces. The distal window is also enclosed in high quality resin to allow easy cleaning using any fluid cleaner and soft brush. The light bundle is of very high quality and transmits more than enough light to allow the use of a small powerful stick handle light source such as our recommended Huger Light Source pictured below. This optical instrument is among the finest in the world. Made in the USA by the Gradient Lens Corporation and constructed of the highest quality materials including their patented endoGRINS.E2 lenses. The end result is a superb, sharp and bright, clear image. We supply a complimentary bottle of lens cleaner paste and cotton tipped sticks for lens maintenance. We use a standard endoscopy eye piece so that you may use your current video camera system if you wish. We provide a strong carry case with foam inserts to help you avoid non guaranteed damage. Ask your supplier for details of options available. This digital camera option records superb HD video and still images onto an SD card then you can manually transfer to your laptop/PC for immediate viewing, emailing or insertion into presentations. This super white bright light is ideal for use by eye and also provides enough light for most camera options. Supplied with rechargeable battery and charger. DO NOT immerse this endoscope in fluids. Before use: dip the tip into warm water then dry the tip with a cotton bud. This will avoid misting/fogging of the lens in the moist conditions of the dental area. We also use a defogging spray for when warm water is not available or heavy duty defogging is needed. Clean the tip and shaft with a grease cleaning fluid such as MediZyme and a soft brush or cotton swab, but take care not to drag debris across the lenses as this will scratch their surfaces. We include a lens cleaner paste. Acetone or isopropyl alcohol can be used to remove grease and fingerprints. 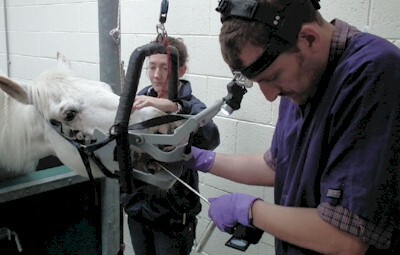 Use sterilising wipes on the shaft, main body and eyepiece when necessary. 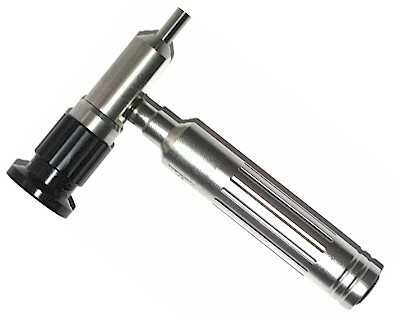 Canned air can be used to blow debris off the distal tip when stored. Keep the protective plastic cap on the distal tip when stored. Ensure no loose parts are allowed to touch the endoscope whilst in its case and being transported or stored. Care must be taken when using this endoscope to avoid bending the shaft or striking against hard surfaces. This can result in broken optic rods or objective lenses which will not be covered by our guarantee. The Hawkeye® PSH-20-60 Equine Dental Endoscope Gua ranteed one year from date of invoice We guarantee this product to be free from defects in materials or workmanship. Hawkeye® is a registered trademark of Gradient Lens Corporation This endoscope is not for human/medical use If you are interested in arranging an appointment to trial the dental scope system, please contact VDP Europe Ltd and we will be happy to help.